Several years ago, I began writing the story that eventually became THE NOVELIST. I had never planned to publish it. This was just one of those stories I wrote for my own entertainment. I was working out a few frustrations surrounding writers, writing, and the publishing industry, and this story came pouring out. ​At some point I put the manuscript aside. Maybe for about a year or so? I honestly can't remember how long the story sat there, incomplete. I can't remember what made me pick it up again and finish it either, but once it was finished, it sat again. This time, it sat unpublished for roughly two years. I was glad it was complete, but still didn't seriously consider publishing it. Well, a few weeks ago, I got to thinking about all my unfinished projects. I decided to once-and-for-all decide what to do with each project. Some "projects" were just a page or two of drivel, so I archived these. There were a couple of projects that were significantly longer, so the decision to archive those was a little more difficult. The great purge still left me with nine works-in-progress. Yes, nine! One of these projects in my WIP folder is THE COVEN, which is the sequel to THE SEANCE. It's actually complete, but I'm not happy with it. At some point soon it WILL be edited (or completely overhauled) and then published. But not yet. Another unfinished project is NIGHTBOUND which is book four in the Spellbringers series. It's more than halfway through, but my doubts about the path its taken has forced me to put it on hold yet again. I'm sorry to say I have no idea when this will be completed, but it will eventually. That left me with six other projects that are in very early stages. And then there was THE NOVELIST. 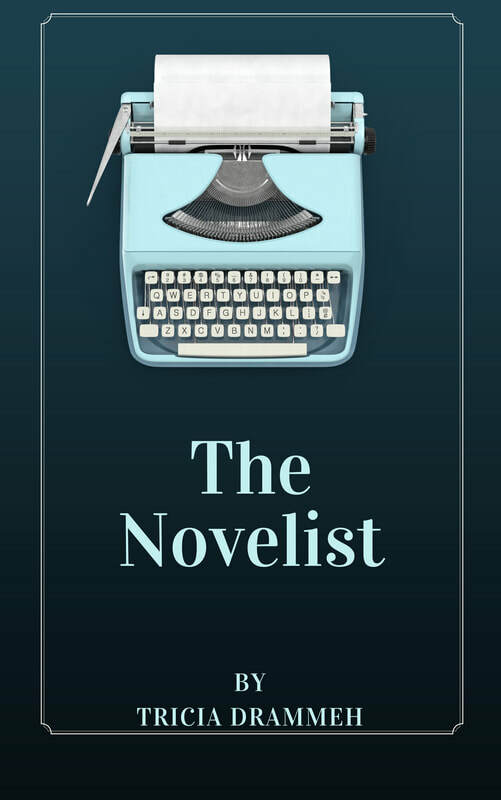 When I got around to looking at THE NOVELIST, I realized that not only was it complete, but it wasn't half bad. Actually, it was pretty good! I ended up making changes to the beginning and then some additional changes to a couple of other sections based on feedback from a helpful beta reader. After edits, it was ready. Like, ready to publish! It came about so fast, I was pretty surprised. For a minute, I considered shopping it around to agents, because I'm that confident in the writing and in the story, but novellas are a tough sell. So, here we are! It's published and ready for your reading enjoyment. Jacque has always struggled to get his business ideas off the ground. From photography to catering to publishing, his poorly-planned endeavors have put a serious strain on his finances—and his marriage. Despite his difficulties turning his passions into a paycheck, Jacque has always considered himself to be an intellectual, an artist, and above all, a writer. If this sounds like something you'd like to read, you can grab a copy on Kindle or Kobo. Other ebook retailers will soon have it available, and it will eventually be offered in paperback format as well. In our world, outside forces find reasons to keep us apart. Wealth, religion, and race are dividing factors. All manmade barriers that have nothing to do with the heart of the people involved. Although wealth and religion can be hidden, race cannot. On June 12th, 1967, the Supreme Court struck down the laws that enforced racial segregation in marriage and Loving Day was created. To celebrate this step to remove this unjust barrier to love, eight Interracial Romance authors have come together to celebrate with stories that challenge the social norms on both sides of the coin. With contemporary, paranormal and historical settings discover how finding the other half of your soul is worth fighting for. When you’re trying not to be found, what happens when you can’t hide from tradition, family or love? Living in a small town was hard enough but when old traditions are about to mess with their Senior dance, Sophie decides that enough is enough. As she embarks on her quest for a dance where ‘everyone is welcome’ she learns a lot along the way about her small town’s racial history. Hedge-witch, Cedar Hollings is used to working odd cases, but tracking a necromancer with the witch-hating vampire Arlington Bonnor is taking her down a path she never imagined for herself. Zach and Claudia have always believed their love for each other could overcome any obstacle, but when Zach’s teenage children come for a summer visit, an unforeseen challenge threatens to destroy their love and everything they have planned for their future. Set sail on this fish out of water adventure as the Arthurian Lady of the Lake crash lands into the Greek God of the Sea in “Two if by Sea”! Loving someone shouldn’t have to be so tough. Tanner and Chantell have loved each for a lifetime, but sometimes love isn’t enough. Long-held bigotry and prejudice has stood in the way of their love for too long. After years of hiding behind the veil of friendship, Chantell has had enough and she’s willing to leave Tanner if things don’t change. What she doesn’t realize is, Tanner will never let her go. Not all good news is cause for celebration. When eighteen-year-old Katherine comes home from her first semester of college engaged to Clayton Davis, what was expected to be a peaceful Thanksgiving dinner erupts into a multi-family crisis as secrets are revealed, cultures clash, and confrontations re-open old wounds. You’re Invited! John Brand IV knows he lives the easy life, but all that matters is being part of Audi Cartwright’s world even if it costs him everything he’s been given. 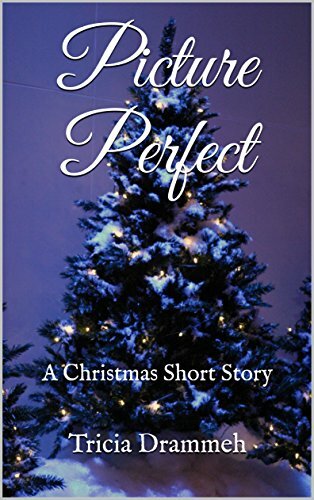 Picture Perfect is a family-oriented short story I'd originally written for the holidays. Though the backdrop might have strands of Christmas lights, the story itself is so much more than a holiday tale. Like my full-length novel, Better than Perfect, this short story is about the true meaning of family. I would really like for everyone to be able to get a free copy of this short story, and since it's very difficult (sometimes impossible) to get Amazon to price a book at zero cost on a permanent basis, I have decided to make the story free on Kindle from May 11th through May 14th. If you have read Picture Perfect, I would love to hear from you! You can leave a review on Amazon or Goodreads, or if would prefer, you can fill out the Contact form and let me know what you think about the story. As always, I appreciate each and every one of you and I value your opinions! I've got the perfect holiday short story for your reading pleasure. It's now available on Kindle, but if you wait until CHRISTMAS DAY, you can download it for FREE! Grab a copy for yourself and share the purchase link with your friends. Nothing beats a free holiday short story! But it's only free for a short period of time, December 25th - 29th. I hope you enjoy this special gift from me to you! Merry Christmas and Happy Holidays to you all! Today's the big day! I'm super excited to announce the release of The Essential Self-Publishing Guide! It's now available on Kindle and will soon be coming out in paperback as well. This guide is for anyone who ever thought about publishing a book. It's for anyone who may have received misinformation about self-publishing. For those who think self-publishing is too hard or too expensive - this book might change your mind. For those who think self-publishing is an easy way to get rich quick without the hard work - this book will definitely have you thinking twice. Self-publishing is something anyone with a well-written book can do - all you need is patience and determination. My hope is that The Essential Self-Publishing Guide will give writers the knowledge and encouragement they need to take the next step toward becoming a published author. Are you ready to become a self-published author? 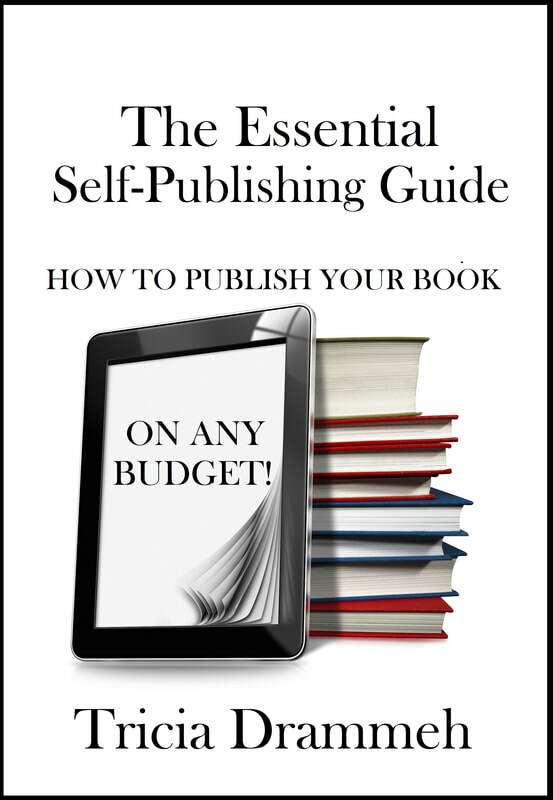 Then grab The Essential Self-Publishing Guide on Kindle today! Mark your calendars! Spellbound and Firebound (books 1 and 2 in The Spellbringers Series) are free from Saturday October 28th through Tuesday October 31st. Grab your free copies! Share with your friends. If you haven't read the series, what better way to start than with two free books?